V.W.Bro.John W. Winston Deputy Provincial Grand Master, our WM W.Bro. Clive Dunster, Bro. Sean Grange, Bro. Jeremony Pitman (our Initiate), Rt.W.Bro.C.A.Stuart Hadler Provincial Grand Master. Saturday, December 1st. 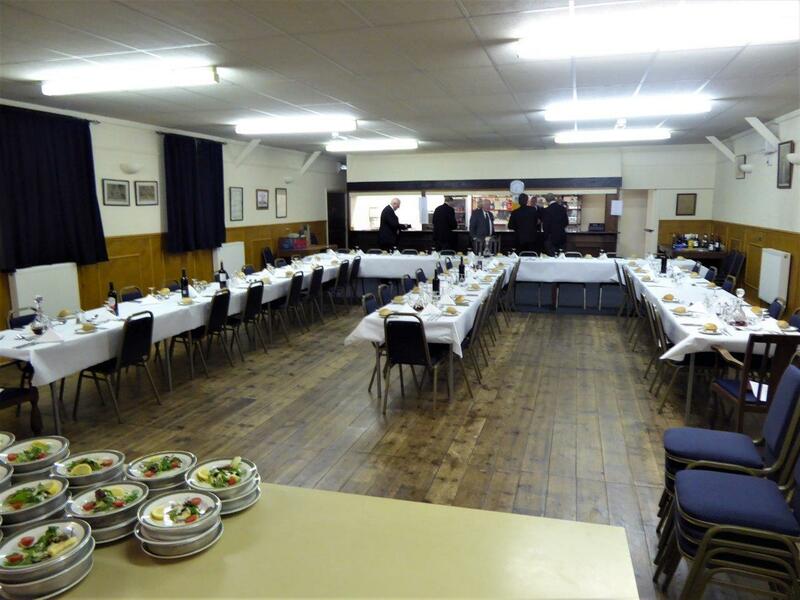 A Regular Meeting was held at The Masonic Hall, Wellington. The Lodge was opened in due and ancient form with solemn prayer. The main item being an Initiation Ceremony which was undertaken in an exemplary manner by our Worshipfull Master and his Officers. After completion of the remaining labours of the evening the Lodge was closed in due form with solemn prayer. 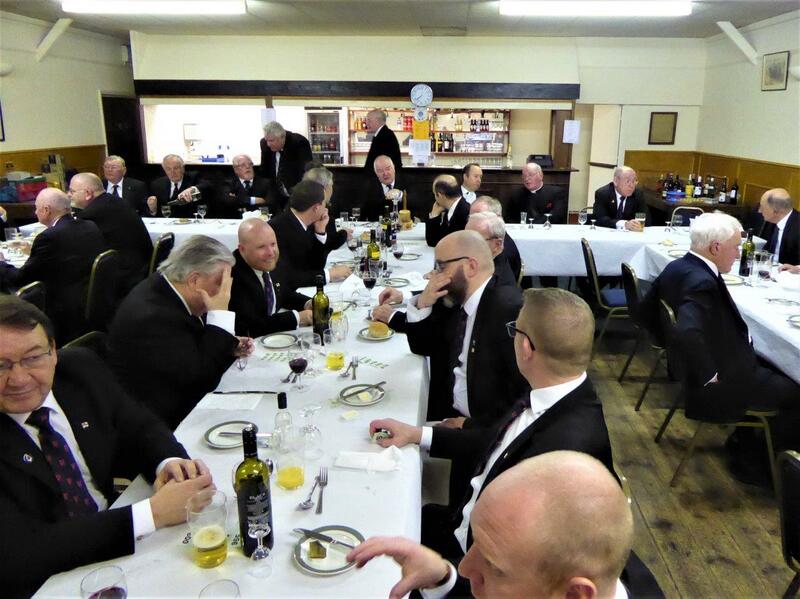 The Worshipful Master, his Wardens, distinguished Brethren and Brethren, including many visitors, retired from the Lodge for our usual convivial Festive Board. A presentation was made by W.Bro. Alan Baker to our outgoing Treasurer, W.Bro. John Cozens, in recognition of his thirty years service. Our new Brother, Sean, received a welcome speech to which he replied in a very able manner followed by an exuberant rendering of the Entered Apprentice Song. W.Bro. Miles Dorrington, Bro. Sean Grange, our WM W.Bro. Clive Dunster and W.Bro. Jeremy Hellier. Sunday, May 13th. Our annual Ladies' Luncheon was again held at the Belmont Hotel, Sidmouth, attended by our Worshipful Master, Richard, and his wife, Yvonne. The Lodge Brethren, their Ladies and many guests savoured a well presented and sumptuous four course lunch amid sparkling company in elegant surroundings. Our W.M., Richard delivered a short speech thanking W.Bro. Alan for the organisation of the event and thanking the staff at the hotel for their excellent service. Afterwards, the weather being perfect, an exhilarating walk along the Sidmouth promenade with the view across Lyme Bay enhanced by the blue sky and brilliant sunshine concluded a joyful occasion. Wednesday, March 7th. Our W.M. W.Bro. 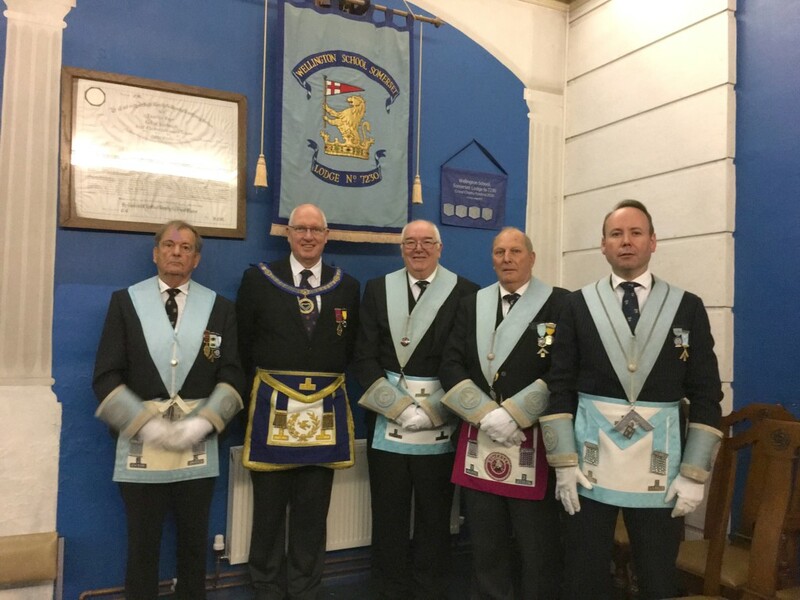 Richard Coupe, Wardens and Brethren visited Quantock Lodge No. 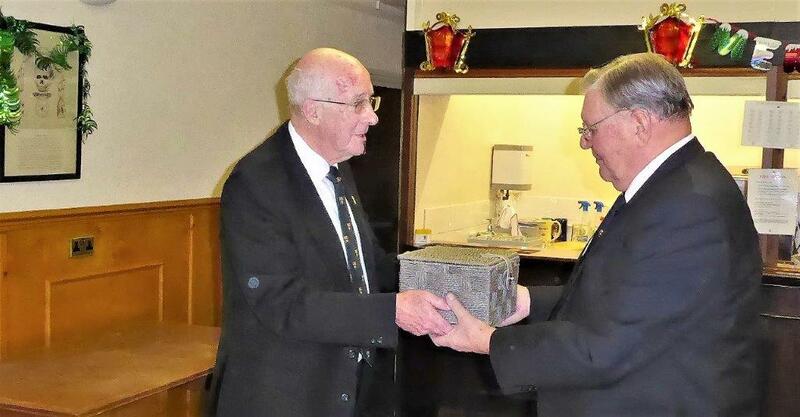 4446 at the Masonic Hall, Watchet to present The Travelling Trowel to the Worshipful Master and Brethren. This was a well attended meeting which included an excellently presented Ceremony of Passing. 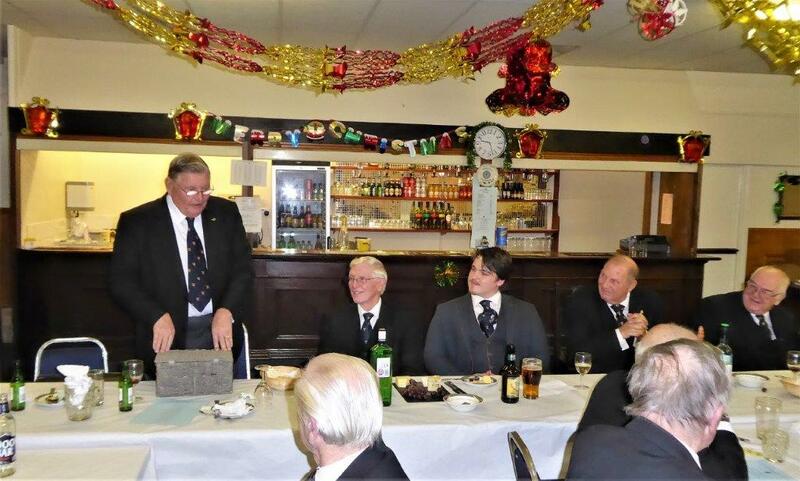 On completion of the meeting a joyous festive board ensued. 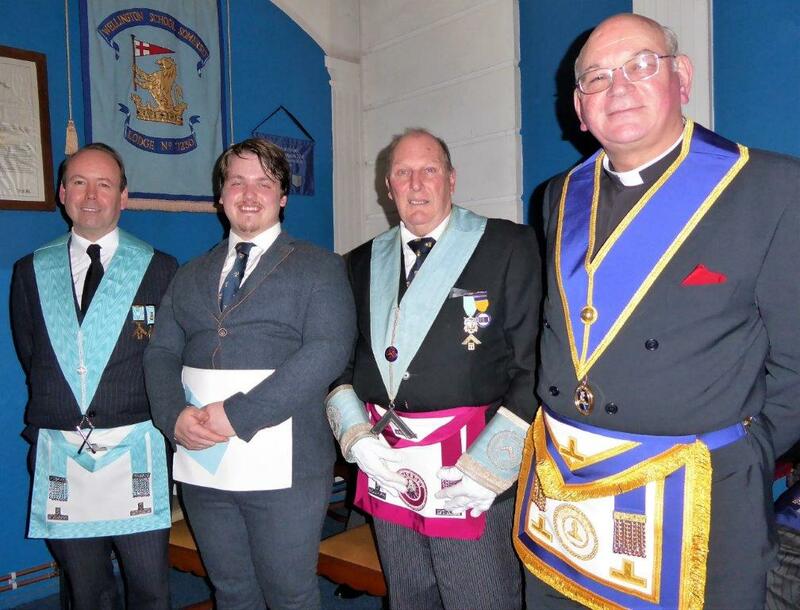 Our WM W.Bro. 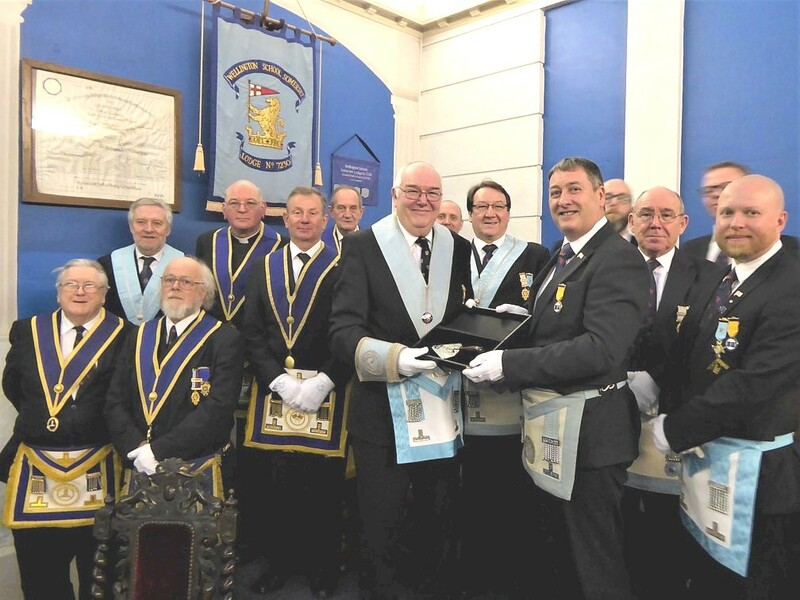 Richard Coupe with the WM W. Bro. Mark Twiss and Brethren of the Royal Naval Lodge No. 2761. The speaker, Bro. Alex Moran, at third from the right. Saturday, October 21st. Our Installation Meeting. W.Bro. 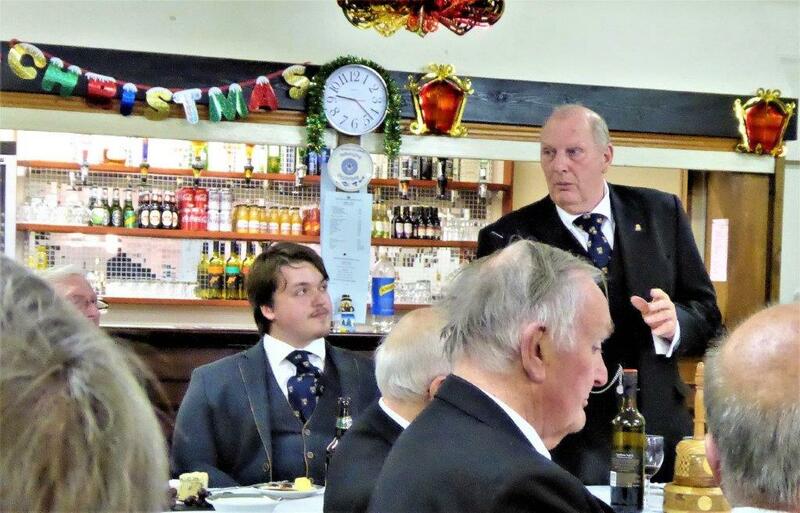 B. G. Batley, PSGD, AsstPGM of Somerset with WM W.Bro. Richard Coupe. Wardens and Immediate Past Master. A short CV of our Worshipful Master - Having served both at sea and ashore in the Royal Navy for 32 years in the Logistics Branch WBro Richard Coupe retired early as a Commander to become Bursar of Wellington School from 1999 to 2010 during which he oversaw a rapid �12m modernisation of many of the teaching areas including the build of a new Junior (now Prep) School. After handing over the reins at the school Richard is now a civil and commercial mediator and also runs a small publications company. He joined Freemasonry in 2010. He was awarded the OBE in 1997 for services to the Military. Saturday, September 2nd. 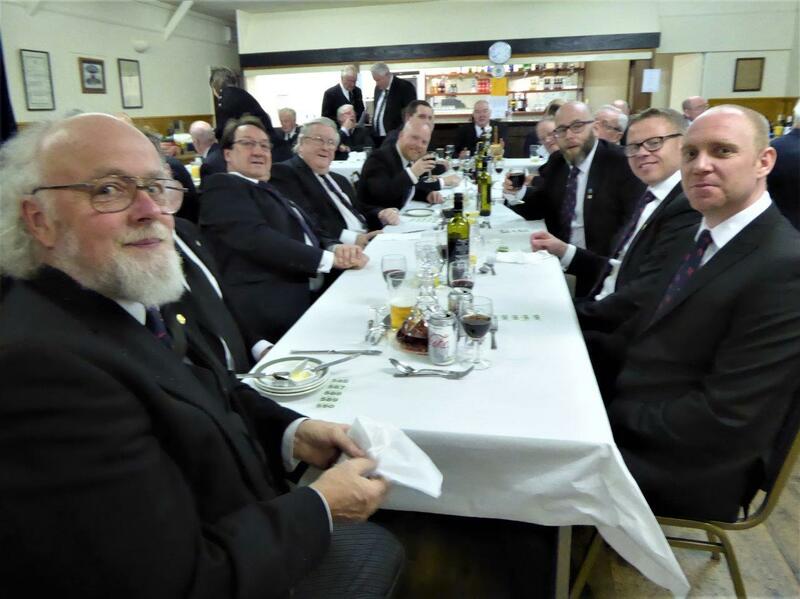 The Federation of School Lodges held the 70th Festival at Pocklington School, West Green, Pocklington, York YO42 2NJ, under the banner of Old Pocklingtonian Lodge No. 7867. ( Further details at http://wp.me/phqzP-eR). The 2018 Festival is to be held on Saturday September 1st under the Banner of the Taunton School Lodge No. 8215 in the Province of Somerset. Friday, June 16th. Mark Provincial Golf Day. 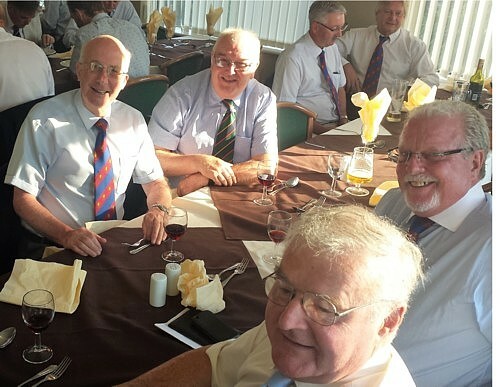 Alan Baker, Richard Coupe, John Cottrell and Les Neville enjoying the hospitality after the Master Mark annual golf match. Sunday, May 14th. 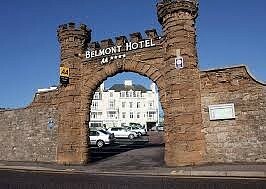 A Ladies' Luncheon was held at the Belmont Hotel, Sidmouth, fronted by our Worshipful Master, Miles, and his wife, Kate. 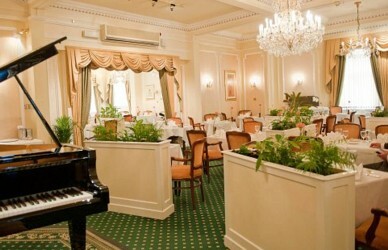 A well attended gathering enjoyed good food and sparkling company in elegant surroundings. Afterwards an exhilarating walk along the Sidmouth promenade with the view across Lyme Bay enhanced by the blue sky and brilliant sunshine was a perfect way to conclude a joyful occasion. Saturday, May 6th. Our Master Elect and Brethren visited Queen's College Taunton Lodge at Taunton Masonic Centre and witnessed a Ceremony of Initiation. The evening concluded with a joyful Festive Board during which the new Brother was warmly welcomed as a member of our Ancient and Honourable Institution. VW Bro John Winston with WM Miles Dorrington and the Provincial Team.